We live in a time where the customer is bombarded with a plethora of choices-where to shop, how to shop, how to pay and which brand to support - to name just a few. Knowing your customer, their likes, dislikes and even their current state of mind plays an important role with regards to sales and profits. The brand, store or shopping centre that truly knows their customer will stand out from the crowd. Ian Rheeder, master neuroscientist said that knowing your customer is not only key, it’s survival. 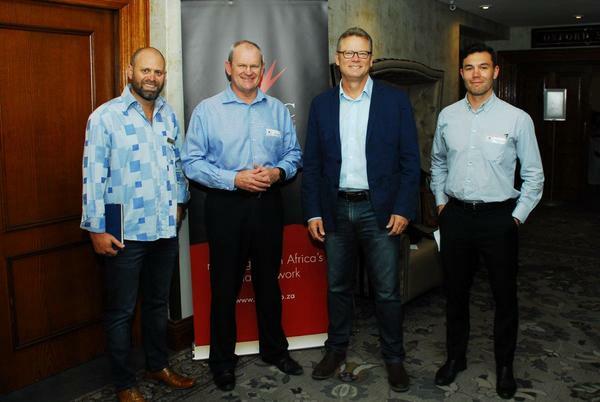 Ian addressed a capacity-packed venue at the Balalaika Hotel recently for the South African Council of Shopping Centres’ (SACSC) first Gauteng Chapter Networking Breakfast for 2018. Ian spoke about the ‘neuroscience’ behind retail and the way messages are communicated which is often more important than the actual message. “It’s important to always remember that people only do things that they want to do. This has huge implications for leaders. It means connecting at an emotional level, one-on-one, with every person. And it’s not what you say, it’s the way you say it. Remember Carl Buechner’s words ‘They may forget what you said but they’ll never forget how you made them feel’. Feelings are more important than thoughts,” he said. Ian also added that retailers are bombarded with advice on what they should do in order to attract customers. “I really think there is too much advice out there. What neuroscience has done is simplify the way we should persuade and market our offerings to the world. My advice is to get back to basics using the big neuroscience discoveries. It really works,” he said. Charity begins at home. Your people on the floor know more about your business than you realise. Listen to them carefully and even use them to do some research (i.e. they can ask shoppers formalised questions). After that, have focus-groups. Invite groups of about 6-8 people, get them in the same room for 2 hours, and find out what works, what they want and why they prefer your competitor. Bounce new ideas off them. After that, interview a sample of 300 of your core customers to find out exactly what’s going on. 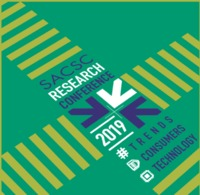 During his insightful presentation, Ian interacted with the audience through humorous anecdotal accounts and stories and he shared thought-provoking research in which he entered well-known brand stores with hidden cameras on his person. Using the hidden cameras, he was able to record interactions with staff from a person-to-person view. The footage obtained showed the competency of staff on the floor. “Retailers can market and advertise till they’re blue in the face, but if the people on the floor are not happy, trust me, your customers won’t be happy either. Start on the floor, and encourage staff to smile,” he said. Ian concluded by adding that Neuroscience teaches us the big lesson that we are more social than any other mammal on this planet. “We are at least 90% emotional, and that trust is the key to doing business. Remember, just because you may not be consciously aware of the shopping environment, that does not mean that unconsciously you are not sipping it all in. Our senses absorb about 11 million new synapses through our senses (per second), yet we are only aware of 40 of these synapses, which is why consumers often don’t know what they want — it’s not that they want to lie — they are just oblivious of the subliminal olfactory-logos (scents), sounds, contrasting lighting and the service attendant’s warm smile and single-eyebrow-flash,” he added.